Birds are fascinating and watching them can be an awe-inspiring experience. However, catching a glimpse of these gorgeous creatures can be frustrating and learning how to identify all of them can be overwhelming! Join our naturalist staff and other guest leaders (when available) Sunday and Wednesday mornings and we will learn together. 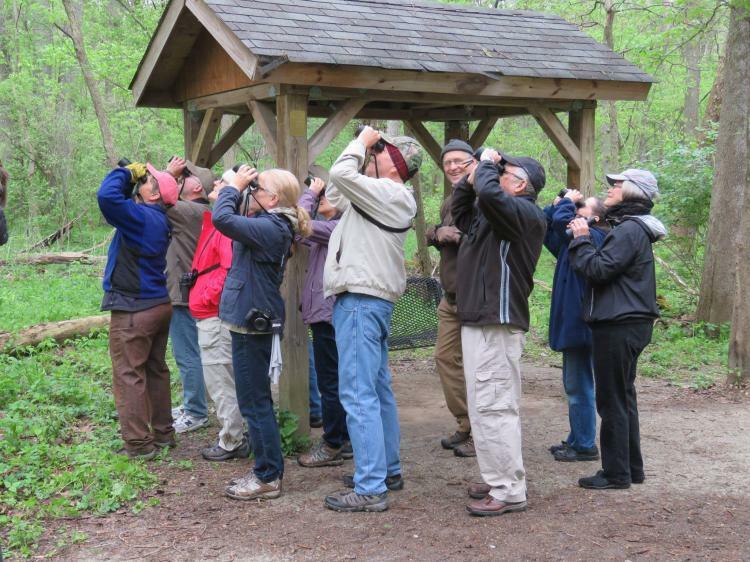 This will be a great opportunity for bird-watchers of all levels. You may begin anytime during the season and come as often as you like. Pre-registration is not required. Don’t forget your binoculars! Free! Best for Adults and older children. Cool Creek Park: These hikes meet in the north parking lot of Cool Creek Park, past the nature center, at 9am.